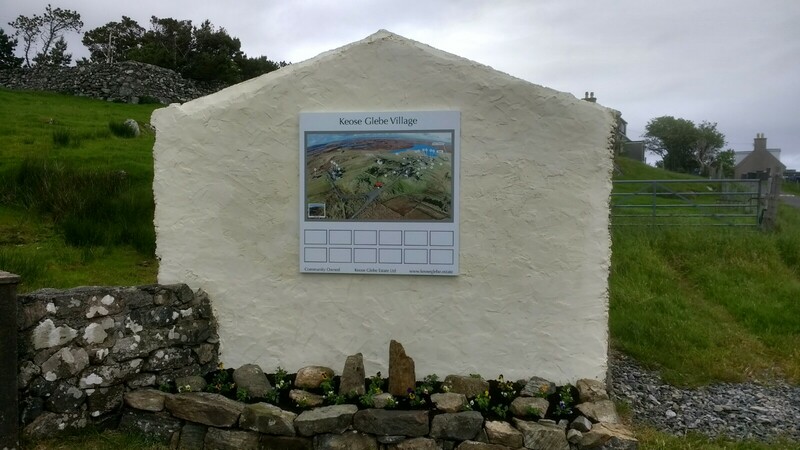 The work on the village noticeboard has taken a step forward with the arrival of the centrepiece signage, and the creation of a flowerbed around its base. This signage has two purposes – one as a village map and locator; and secondly as a space to advertise local businesses, services and funding providers. Additional information panels and services will be installed soon. Thanks to Stuart at Graphite Signs for the excellent signage; to Angus Macdonald for the stonework; and to Donna Graysmith for the plants and planting. Work on the community garden beside the Meeting House has begun. 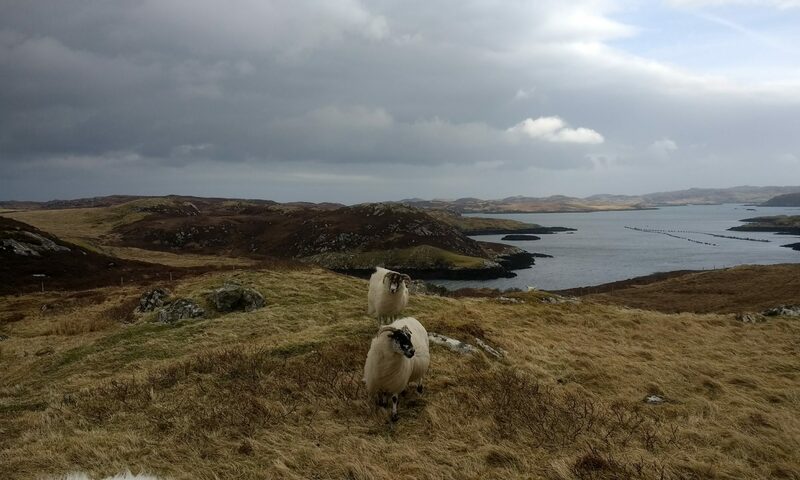 The grass is being cut, trees and bushes are being planted, and we hope to eventually have a path and seating area for people to come and view the harbour and village. 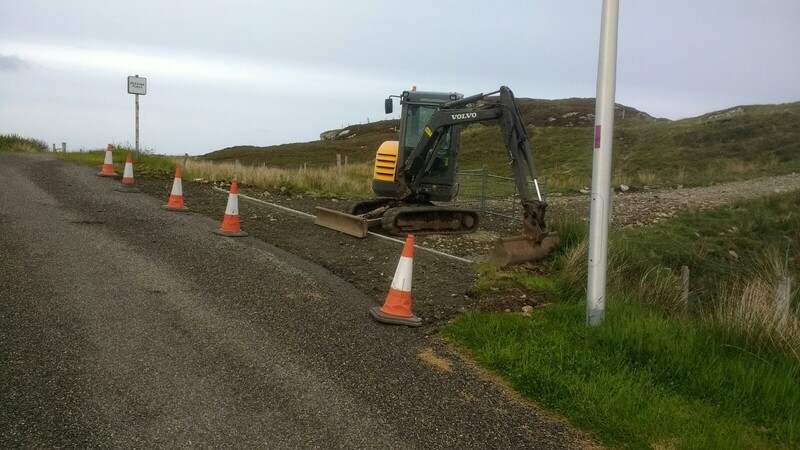 Further work to improve the access road to the Estate Office has now begun. The work is being done by AMK and will involve drainage and tarring around the entrance-way. 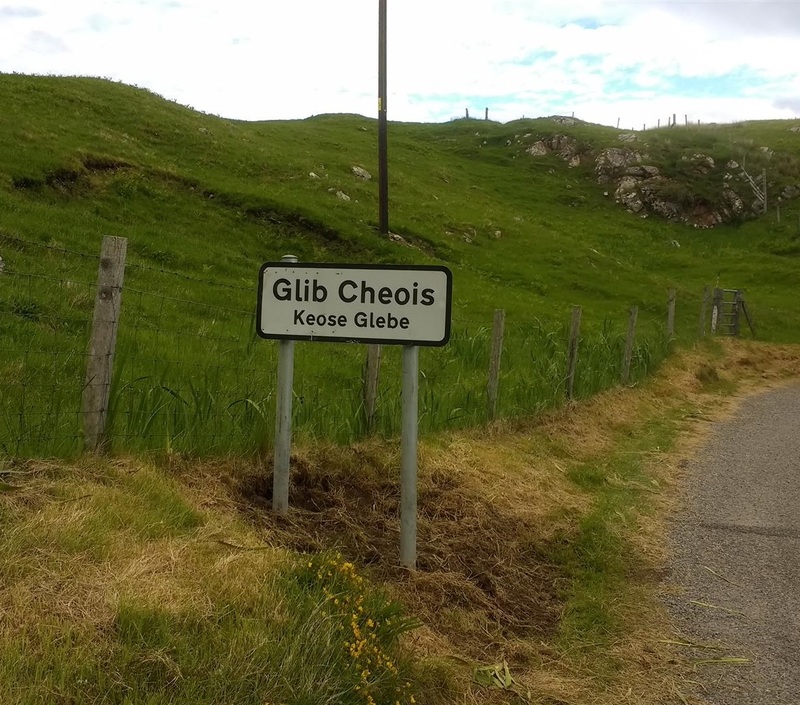 Thank you to Comhairle nan Eilean Siar for moving the village road sign to a more appropriate location at the beginning of the village. Work has now begun on the ground and drainage improvements at the Keose Community Playpark. 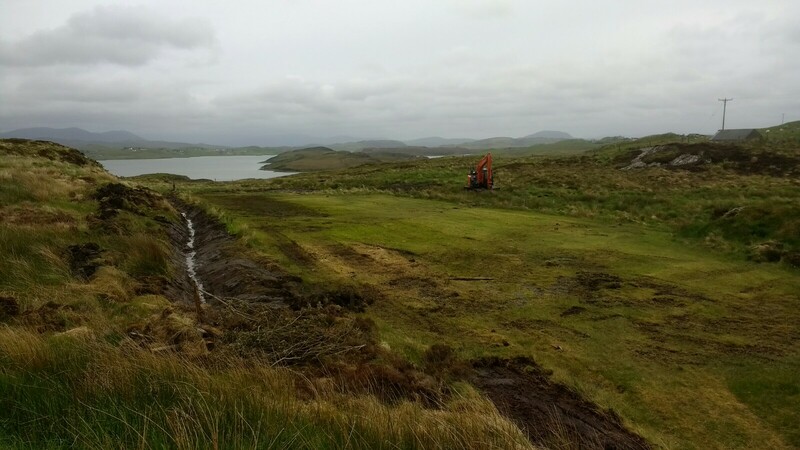 This is preparatory work to improve the general playing area and to support the future siting of play equipment for which fundraising efforts are ongoing. Any donations to this project are most welcome, and should be directed to Mrs Jan Gold at 8 Keose or Freddie Macleod at 6 Keose. 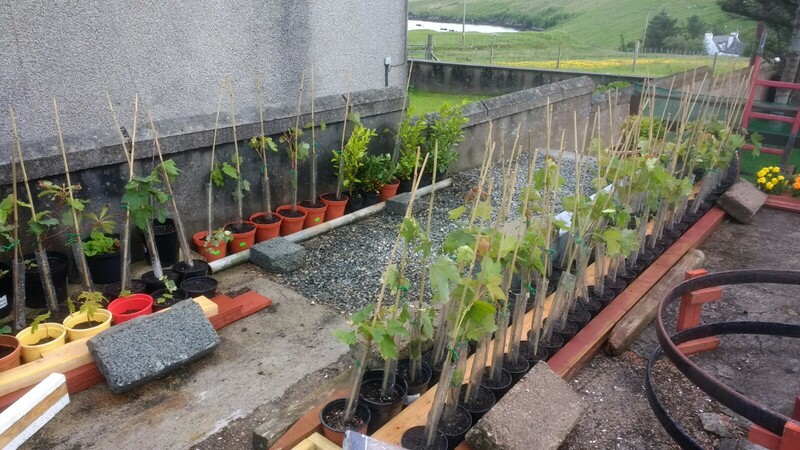 Following the success of our tree-planting, a welcome further donation of around 100 trees (mostly sycamore) has been made to the community for planting locally. These will now be planted in appropriate spots around the estate over the coming months.